Kimberly M. Brzezowski, Psy.D. is a clinical psychologist who brings experience working with children, adolescents, and adults through individual, family, group, and couples therapy. Dr. Brzezowski has a Doctorate of Psychology from Wright State University School of Professional Psychology, and is completing certification in Trauma Focused Cognitive Behavioral Therapy as part of a learning collaborative through Akron Children’s Hospital and the National Child Traumatic Stress Network. She has a Bachelor of Arts in psychology and a minor in Professional Writing and Editing from Youngstown State University. Dr. Brzezowski understands that negative events can have a significant impact on individuals or families. 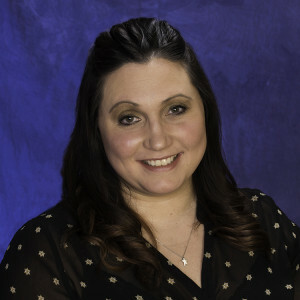 She enjoys working with adolescents and young adults to help them navigate the changes that come with gaining independence and reaching their academic and career goals. She also enjoys working with parents to help them identify effective techniques for communicating with and parenting their children.